Alexandria Ocasio-Cortez is in Nancy Pelosis corner. The 29-year-old progressive star, who will become the youngest member of Congress, criticized a letter signed by 16 Democrats calling for new leadership and announcing they will not vote for Pelosi as House speaker. When I was reading this letter that was kind of released today, my main concern was that there is no vision, there is no common value, there is no goal that is really articulated in this letter aside from We need to change, Ocasio-Cortez said on MSNBC on Monday evening. Change is not enough? What bribe did she get? 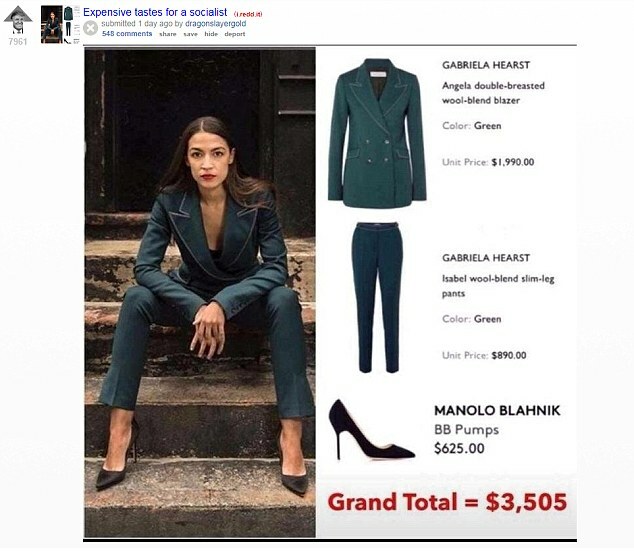 I guess she can afford that apartment now! Casio needs to get the speakership. 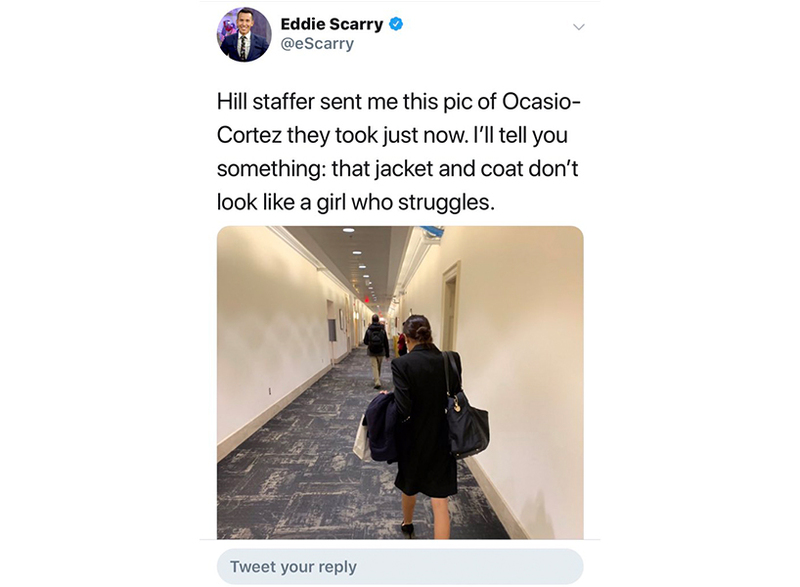 No kidding - the establishment already smacked her down ahd she, being the super-dee-duper smart leftist rebel she is - promptly capitulated for the power. 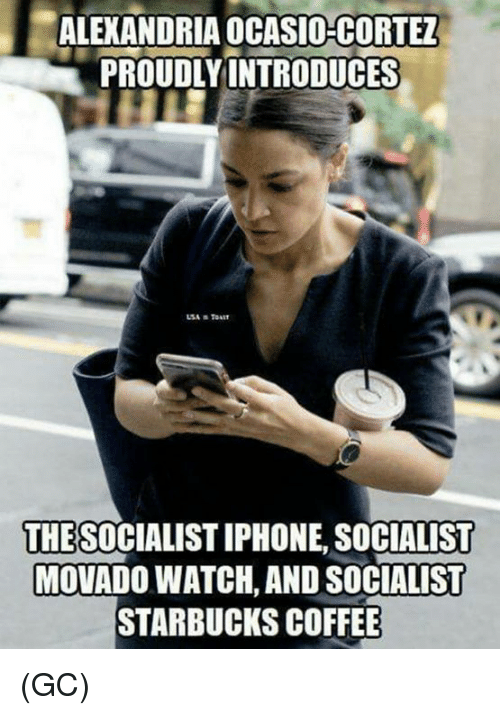 Just like a good socialist. Someone told her how committee assignments are made. Lord, I could be a prophet today, it has been so easy to make predictions. It’s like Trump says. Once they see the nice buildings and the columns, they flip. Pelosi didn't have to try hard to convert her to champagne socialism. I know it's not a record (especially for Dems), but it took her less than two weeks to start breaking her campaign promises. Hope someone is keeping track of this, should be useful 2 years from now. Well, they found her price. It has now been established that she is a bonafide whore. Wonder how cheap she went? Some politicians are friendly extroverts and good actors, but amoral empty vessels who are actually not very bright. Such people can last for decades in politics, once you have a Sugar Daddy and know the game rules. Alex will not be the first to pull it off. OK Grasshopper..., get in line or wind up an unsolved homicide!!! Littler Twerp was told to get in line or she’ll keep getting treated like the hired help. Occasional Kotex may be dumb. But someone wised her up. In a hurry. And as most predicted, this whole Kabuki of “will they - or won’t they” support Pelosi is the same old political theatre. There is no way Pelosi isn’t/wasn’t going to be Speaker. Which nice committee assignments was she offered?